3 x Medium Swivel Stonze of 2.0 oz – 2.5 oz. 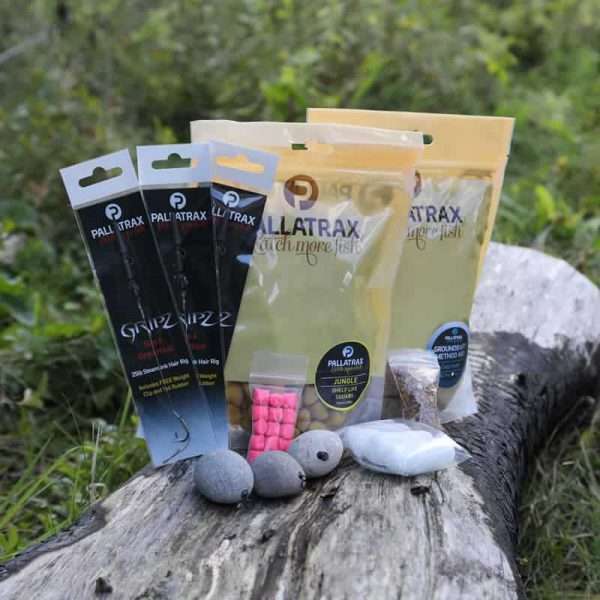 This high quality and well-designed Carp introduction pack gives the angler a great selection of Pallatrax products to create the highly regarded and consistently successful fishing approach – The Stonze System. This revolutionary angling tactic has moved fishing to the next level by completely eliminating the negatives of a man made toxic lead (or any other man made weights) and centralising the strategic approach around a totally natural stone as the fishing weight. Couple this with exclusive baits and our incredible Gripz hook design the user can be confident in a angling approach that now catches consistently at venues around the world. yes well worth the money, A great little day session pack , TOP marks pallatrax . Excellent pack well worth the money more like this please pallatrax.